“Stainless steel was invented in 1913. The 300 series (302-316) includes 18-20% chromium and 8-12% nickel. (316 has 2-3% molybdenum, which makes it slightly less susceptible to crevice corrosion.) In the presence of oxygen, the chromium and nickel form a surface coating that protects 70% of the material is mild steel. If you bury them in the hull, covered with putty and paint, they are cut off from oxygen and will soon corrode like mild steel. Only silicon bronze is long lasting here. The only apparent reason some use stainless steel is that, coming from Taiwan, they are cheap! This clip illustrates exactly what Danenberg asserts. 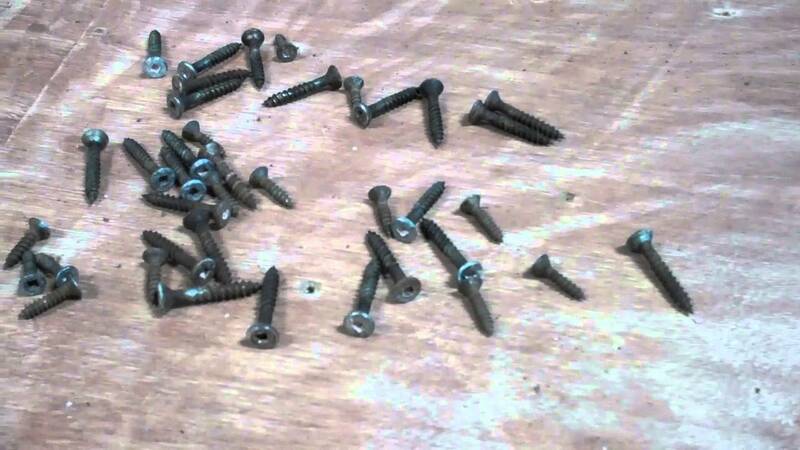 These fasteners have been in the chine planks for fewer than eight years, and have already failed completely. Please insist on silicon bronze below – or near – the waterline. In fact, Snake Mountain Boatworks will not fasten anything but hardware with stainless. Yes, the silicon bronze, Frearson head fastener is much more expensive. Here once again is a prima facie example of how eventual cost being seldom equals the initial price. Chines should not fail in fewer than eight years, and replacing them is far, far more expensive than the original cost differential between stainless and silicon bronze would have been had this owner insisted that only the latter be used to fasten her new chines.